Pavilion 2 at Broken Head is fabulous Byron Bay accommodation, but it's perfect for private beach weddings. 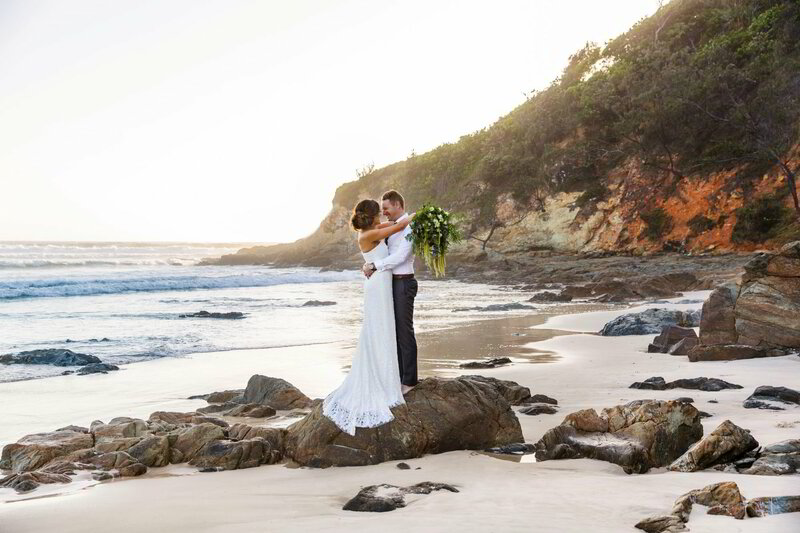 Realise your dream of being married in a private ceremony on a secluded beach. Choose any time from sunrise to sunset for the ceremony then walk back up the path through the beachfront rain forest to your intimate reception at Pavilion 2. If you wish to get married on the beach near Pavilion 2, our wedding planners can arrange everything specially for you. Let us know if you would like their details. In addition, more information regarding weddings in the Byron Shire Council is available here on the Byron Shire Council website . Please also be aware that the shire by-laws enforce a noise curfew of 9pm.